Carbon Coalition Against Global Warming: Look out for Outliers! They Prove It! Look out for Outliers! They Prove It! We have identified a list of “high performance” soil carbon managers who have demonstrated a potential well beyond the average. These ‘outliers’ present a challenge for the conventional estimation of the potential of Australian soils to sequester carbon. If these outliers can do it, it can be done. The CSIRO’s chief soil carbon scientist Jeff Baldock pointed us in the direction of these outliers. We need a study of high performance individuals and what characteristics they share. 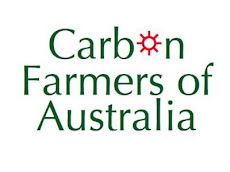 We need the equivalent of the Australian Institute of Sport for carbon farmers. 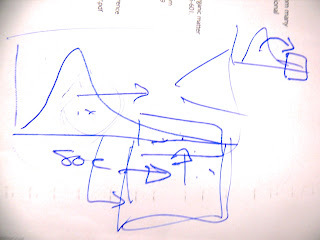 Here we have Jeff Baldock's squiggle of the location of outliers in the 'wide tail' of a normal random distribution curve (on the right hand side) which we believe is where our carbon farmers are hidden. 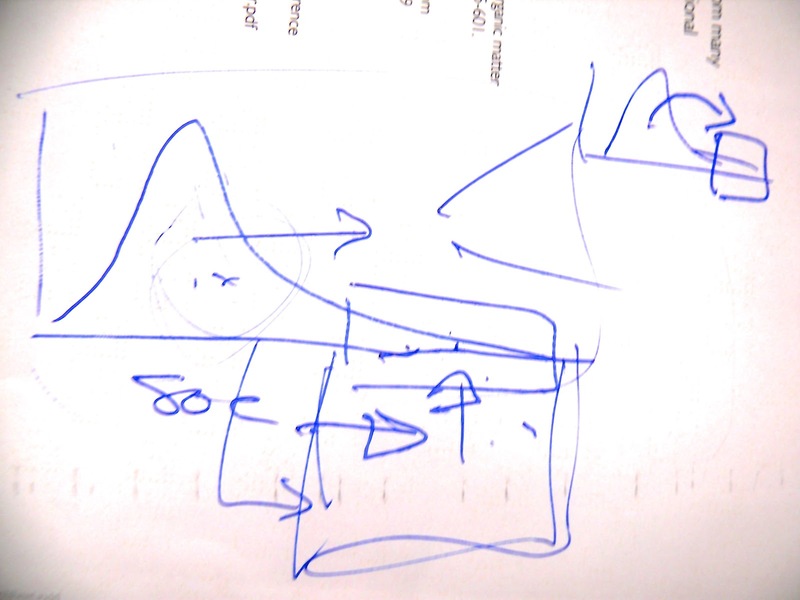 And below we have Jeff's formal graph where we can see the 'heavy tail' (c.2011 slide presentation). The people you are about to meet are all highly respected by their peers for their contribution to their industries. But they all do something that modern science says is impossible. They capture and hold carbon in their soils at three-to-eighteen-times the rate that scientists believe possible. 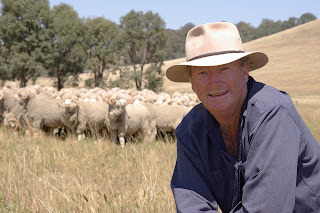 David Bruer (above) of Temple-Bruer Vineyards at Langhorne Creek (SA) increased average soil carbon levels by 2% in 10 years to 2011 (more than 3 tonnes of carbon per hectare per year). David is a Climate Kelpie, part of a collaborative program between the Australian Government, Meat and Livestock Australia, Dairy Australia and the Grains Research and Development Corporation. The project aims to highlight information and tools for managing climate risk on farm. 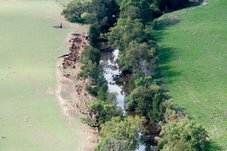 Col Seis (above) increased soil carbon by 3 tonnes per hectare per year (from 2% to 4%) on “Winona”, Gulgong, between 1995 and 2005. 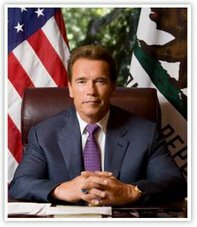 Between 2008 and 2010 his sequestration rate was close to 9 tonnes of carbon per hectare per year. 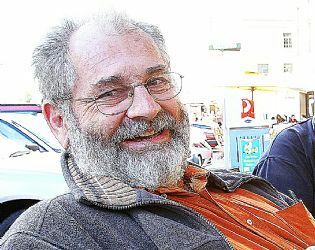 Col is co-inventor of the practice known as Pasture Cropping. 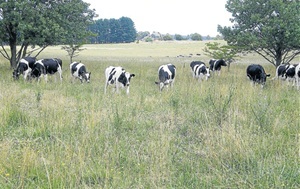 New England grazier Cam Banks has used cell grazing and a focus on soil health to achieve an increase of 2.6 tonnes of Carbon sequestered/ha/yr between 2007-2011 at “Lakeview” in Uralla NSW (above). Cam is an active member of Landcare. 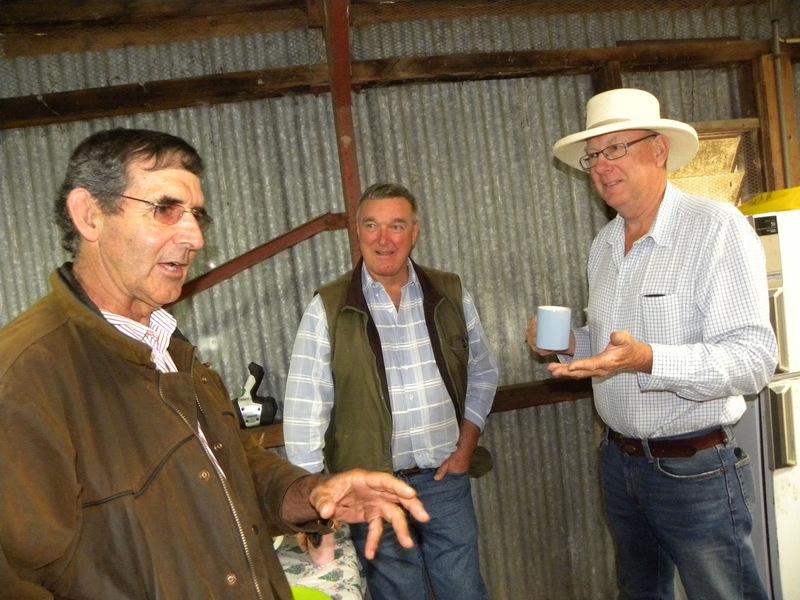 Martin Royds moved his soil carbon levels at "Jillamatong" near Braidwood NSW from 3% to 7% in 5 years, lifting his tonnage per hectare from an increase of 2 tonnes per year to more than 14 tonnes per year at his best monitor points in that time frame. He was awarded National Carbon Cocky of the Year 2011, sponsored by Ylad Living Soils. 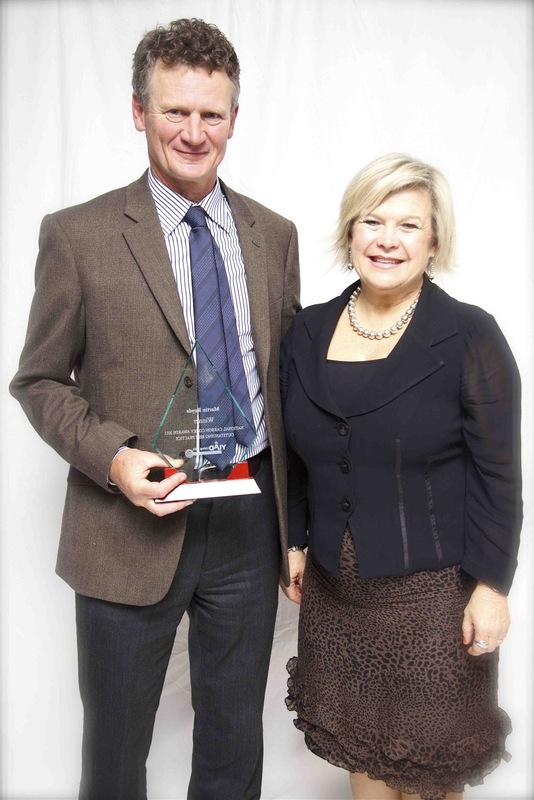 Rhonda Daly (seen presenting the award) and her husband Bill are also Carbon Farmers at Young NSW. They have compared a compost mineral blend vs single super, and observed an increase of 0.5% in soil carbon vs 0.07% increase between 2008-2010 - or close to 2.5 tonnes of carbon per hectare per year in a cropping enterprise. 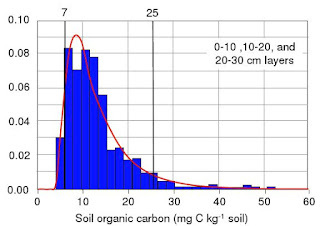 Officially the most soil carbon that can be sequestered in Australian soils is 0.5tonnes/hectare/year. Why is there a vast gap between the performance predicted by scientific models and the actual performance of many carbon farmers? 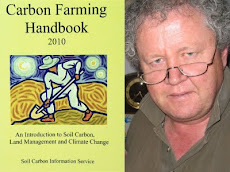 The farmers' high carbon scores are not considered reliable by scientists because the measurement was not conducted by scientists, according to scientific protocols. These results are described by scientists as 'anecdotal'. But here, in this small sample of farmers, we have a pattern which poses the question: Why? Could the farmers be fudging the figures? But what motive would a farmer have to skew their carbon scores? No one is offering to pay them for it. No carbon trading scheme pays for past performance. Most of the farmers featured above started measuring their carbon levels 10 years ago, before there was a hint of earning carbon credits. Also, these farmers have recorded falls in their soil carbon levels as well as increases along the way. Their integrity is not in question. 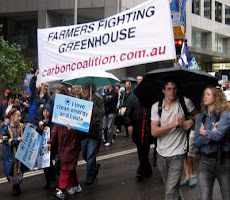 When it comes to 'growing carbon' farmers enjoy an unfair advantage. Each farmer lives inside a live experiment, 24/7, observing how nature responds to various activities. They micromanage their farms, combining techniques and practices, endlessly trialling and making decisions every day. Their experiments are conducted in a single location for application in that location. The farmer is there on the ground every day, absorbing the whole ecological 'event', processing it intuitively, referencing their entire experience with nature, and developing new hypotheses on the run. These farmers bring a learning attitude to their work. They read a lot, attend conferences, and most are active members of local natural resource management bodies or groups. The farmer is not seeking to answer a single question about an isolated variable in the ecological mix. The farmer wants to learn everything at once. They want to know how to get more and better pasture and crops, better water efficiency, healthier animals and better quality produce. They want more sustainable farming for today and tomorrow when they hand the farm to the next generation. They want more profit, more drought resistance, more production. The farmers just want to know what works. They don't have to spend time working out why it work. This can explain the gap in performance: farmers are better carbon farmers because they have a narrower task, more time to spend on it, freedom to change direction when early results indicate. A formal scientific experiment sets out a methodology for each study which must be strictly observed for the period of the program, usually 3 years. This is because scientists must prove their results to others while farmers only have to prove it to themselves. The result of this unfair advantage are the higher soil carbon scores registered by farmers and the refusal by scientists to accept these scores because they are not replicable, as science demands of new facts. These farmers are "outliers" - not a statistical aberration, but the result of a mixture of two distributions or sub-populations. Each of them have spent the 10,000 hours studying and practicing "required to achieve the level of mastery associated with being a world-class expert - in anything," according to Malcolm Gladwell's book Outliers. It is on these grounds that we believe these high performance carbon farmers reveal the true potential of Australian soils. The Carbon Farming Initiative should focus all resources tagged for soil carbon on the challenge of measurement and set farmers free to sequester as much carbon as they can, independent of what the models say we can. This is the only way that the soil carbon credit can act as the catalyst needed to spark the chain reaction among farmers around the world to activate the massive carbon extractive capacity of the soils and vegetation. No one steals my "Meth"!